Success is a very sought after thing. It has been examined, debated and philosophised over because to master the ability to be successful is a phenomenal skill to possess. One of the first challenges we face when considering success, is what exactly is it? There are so many different definitions that is easy to be confused, the internet has thousands of sites on the subject and bookshops have shelves full of books on the subject. Much of what we read appears to be contradictory. Some say success is about wealth and status. Some say it’s about happiness and passion. To highlight this point, check out this article from Business Insider that describes how 9 incredibly successful people define success. 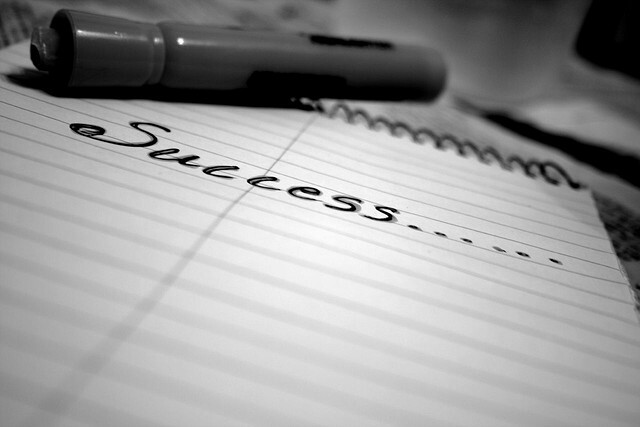 Success (noun): The accomplishment of an aim or purpose. Regardless of what you want to achieve it’s essential to write down your objectives, set goals and put them into a clear plan, be positive with yourself and focus on the step in front of you. Set yourself objectives to work on today, tomorrow and every day. Display your goals on wall, desktop or anywhere that will remind you of your purpose. Try it. You’ve got nothing to lose and a lot to gain! If you liked this article on Achieving Success then please share it with your friends and check out our other blog articles for more tips and advice.